Medieval Morsels: Cheddar cheese - King Henry II's favourite! Cheddar cheese - King Henry II's favourite! Just how do we know which cheese was the favourite of King Henry II (1154-1189)? It was Cheddar cheese there’s no mistake. And today Cheddar is Britain’s favourite cheese still. But can we be sure we are dealing with Medieval fact and not ancient folklore invented in Somerset to bolster their cheese's claim to fame? Well, meticulous records were kept by the equivalent of the Medieval Treasury. The 'Great Roll of the Exchequer' or pipe rolls as they came to be known, contain accounts of the royal income, arranged by county, for each financial year. The Medieval financial year ended at Michaelmas, that is the 29th September which coincides with bringing in the all important harvest. I wonder if this is relevant - a fiscal year tied to hard won pickings and profit grudgingly given up from land under cultivation? The pipe rolls - great lengths of parchment sewn and rolled together in one long document - represent England’s earliest surviving series of public records. They are essentially continuous from 1155 onwards until the 19th century. 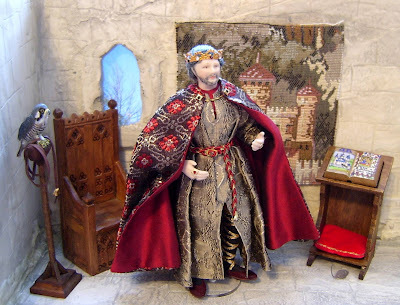 From the Somerset pipe roll of 1170 we know that King Henry II purchased 10,240 lbs (pounds weight) or 4.6 tonnes of Cheddar cheese at a cost of a farthing (a quarter penny) per pound weight. It is said he declared Cheddar cheese to be the best in Britain. Furthermore Henry’s son Prince John (later called “Bad King John”, reigning between 1199 and 1216) thought the same of the Somerset staple. Why? Because in the pipe rolls there are records of John continuing to buy the cheese for the great Royal banquets. 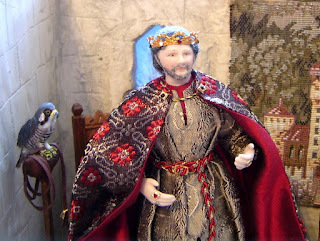 His elder brother King Richard, so-called Lionheart, spent so little time in England that perhaps he did not develop a taste for English cheese. 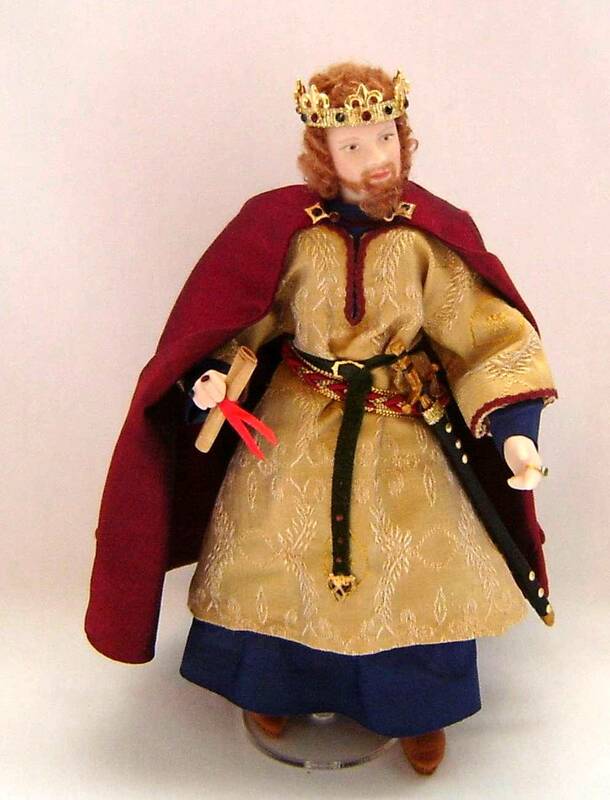 Angelique Miniature's King John. He too favoured Cheddar, made here by MedievalMorsels! So we can be sure that Cheddar making in Somerset goes back more than 800 years! Henry II spent only 13 years of his reign in England; the other 21 years were spent on the continent in his territories in what is now France. This goes to suggest that English cheese of the day compared favourably with those produced in Normandy and Aquitaine - where Henry held extensive Dukedoms. Cheddar cheese achieved later royal acclaim. In the reign of Charles 1 (1625 to 1649) parliamentary records show that the cheese made in Cheddar was sold before it was even made! Consequently it was only available at the court. An illustrious cheese indeed. I like mine extra mature or vintage.